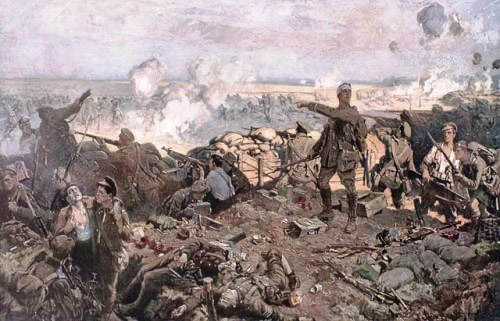 The battlefields of the Ypres Salient are of enormous historical importance to Canada. We spend the day following in the footsteps of the lost Canadian generation, looking at the 1915 and 1917 battles. We commence the tour by visiting the site of the gallant defensive actions of the First Canadian Division during the Second Battle of Ypres. 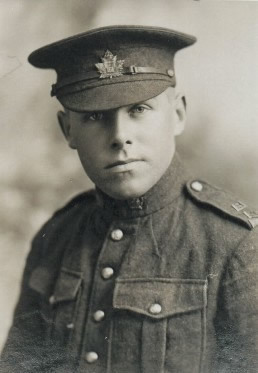 Faced with the first ever use of chlorine gas by their German foe the Canadian soldier’s defence and steadfastness in face of adversity helped save a critical situation. 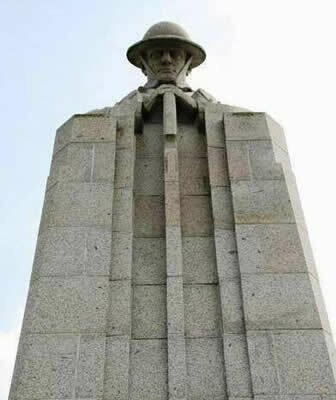 The Brooding Soldier memorial at Vancouver Corner marks their endeavours and sacrifice. 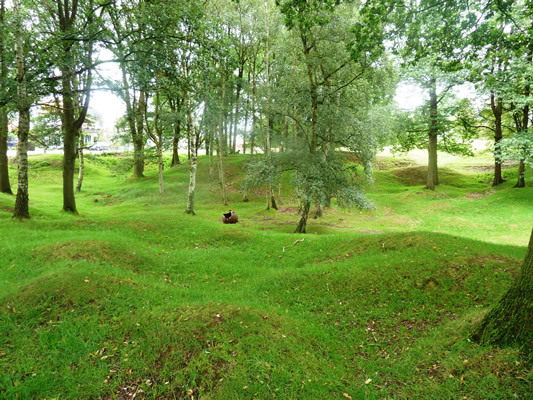 We continue on to Hill 60 to discuss underground warfare and by taking advantage of the visible craters we will talk about the involvement of Canadian miners who worked below the surface here in some of the most dangerous conditions of the war. Our next stop is one of the finest museums for artefacts on the Western Front. After lunch we visit Mount Sorrel at Hill 62 before turning our attention to the Third Battle of Ypres. We will travel to the Passchendaele ridge over a landscape that in autumn 1917 resembled a vast sea of mud. 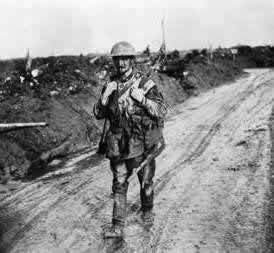 The mere mention of Passchendaele conjures up images of suffering and death on a hellish scale. You will learn about the men who fought in this dreadful battle and hear their stories as your guide relays recollections passed on by veterans. During the day we will visit a variety of local military cemeteries. One of these is Tyne Cot Cemetery, the largest CWGC cemetery in the world. Within its walls are surviving German pill boxes, part of the German defences on the ridge. 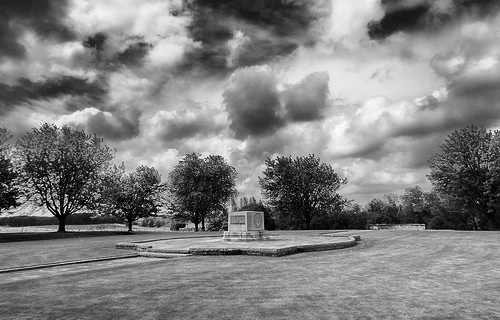 The dead from the Allied attacks are now laid to rest close to where they fell. We are sure that this tour will leave you with many memories and a greater appreciation of Canadian efforts in the Ypres salient. 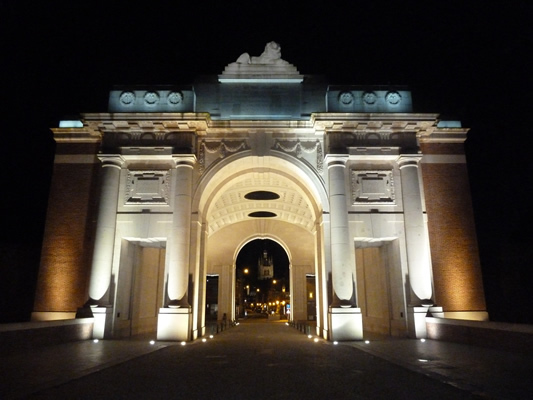 Our full day Canadian Ypres Orientation Vehicle tour starts at 266 Euros for up to 4 people.